Manchester United man Paul Pogba has refused to rule out a move out of Old Trafford. 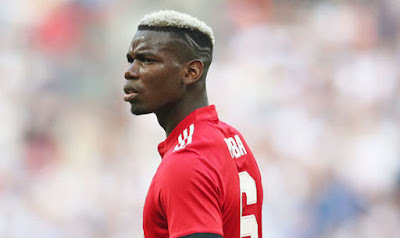 Paul Pogba has been a transfer target for Barcelona and the Spanish club are doing all they can to bring the France international to Camp Nou. However, Manchester United don't want to let go of their man but a bad relationship with Manchester United boss Jose Mourinho might actually make the club think of letting him go. In an interview with Sky Germany, Paul Pogba however refuse to rule out a move from Manchester United stating he doesn't know what might happens in the next months. Paul Pogba is currently on international duty with France and will be playing in the UEFA Nations Tournament.